The Jazz Directors Series is a two-year residency and touring project which brings together emerging UK professional jazz musicians with an internationally revered Jazz Director. Each tour is a collaboration between Band on the Wall and four independent jazz promoters based across the North of England who will be mentored by the established regional promoter and producer Root Music. 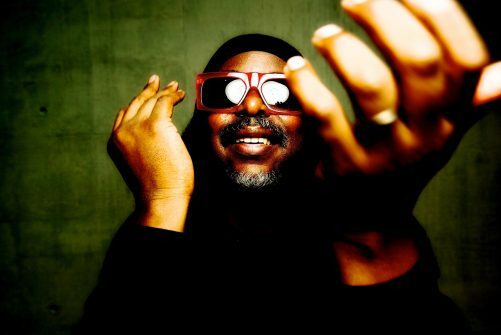 No musician more embodies the dramatic transformation in the British jazz scene over the past thirty + years than Courtney Pine C.B.E. The groundbreaking saxophonist and multi-instrumentalist has led a generation of exciting and innovative players who have broadened their styles to take jazz out to a wider audience. In 1986 his debut album ‘Journey to the Urge Within’ became the first serious jazz album ever to make the British Top 40 (significantly earning a Silver Disc), and the last two decades have seen him go on to achieve considerable International acclaim. He has released 16 studio albums under his own name and is widely recognised as one of the UK’s leading jazz musicians, constantly pushing the boundaries of the genre and remaining firmly at the cutting edge of the UK scene. In 2014 he was commissioned to compose and perform a musical response to the work of Matisse for the Tate Modern, this work was broadcast live from the exhibitions to cinemas throughout the UK. He also joined Herbie Hancock and all-star lineup for the globally televised UNESCO International Jazz Day Festival concert live from Osaka in 2014. For the fourth edition of the Jazz Directors Series, Pine is joined by the Inner City Ensemble, a changing lineup of some of the UK’s most exciting emerging professional jazz and crossover musicians. Produced by Band on the Wall in partnership with Parr Jazz, Lancaster Jazz Festival, DJ Lubi, Brighter Sound and Root Music with support from Jazz North. Supported by Arts Council England.